Some 61% of women would consider a career in technology if more females were in the industry, research by Ocado Technology has revealed. 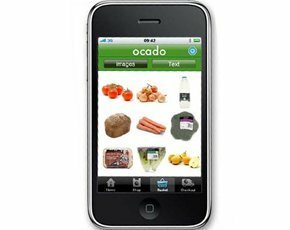 Women make up 12% of staff at the technology division of online grocery shopping firm Ocado and chief operating officer (COO) Anne Marie Neatham recently spoke with Computer Weekly about her own journey, as well as her current involvement in the company’s plans to inspire more young people in to technology. As Ocado Technology COO, Neatham manages several technical development and infrastructure teams both in the UK and Poland. Starting her career as a software engineer, she has held roles in software and retail companies based in Ireland, the US, Germany, Poland and the UK. She spent 18 months in Krakow setting up an Ocado development centre. She joined Ocado in 2001 as the lead on the company’s software before it launched its service in 2002. Since then, she has headed up teams in the development of software for the warehouse, supply chain, finance and human resources. Neatham strongly believes inspiring young girls to take up careers in technology needs to stem from early on in their education. Neatham explained she is part of a big Irish family with 34 cousins on just one side: “11 of us are girls and six happen to work in technology. Since the launch of the new computing curriculum in September 2014, Ocado Technology has been working with schools to support students in subject choices and careers later in life. For instance, Ocado recently launched Rapid Router, a free computing teaching resource to teach work-related coding skills. In July 2014, Ocado Technology launched the coding initiative Code for Life, after finding 73% of primary school teachers feel they have not been given the necessary resources to teach children to code. While speaking to Computer Weekly, Neatham said she was visiting a school the next day to talk about the initiative, which was designed to help teachers deliver the new curriculum. Research conducted by Ocado Technology revealed 81% of women believe there are a lack of female role models in the technology sector. In addition to her grandmother, Neatham mentioned her first boss who she saw as a role model and mentor: “My boss at my first job was a great mentor as she was a dominant force in the room without annoying people. Stressing things will eventually change, Neatham pointed out that 100 years ago female doctors were unheard of. "Now it’s almost a woman’s job," she said. "People thought that women wouldn’t be able to cope or would go insane. Neatham said when women obtain a job that has previously been considered as male they can be reluctant to announce it: “I didn’t use my title at first. Men tell people what they do all the time. We’re not doing anyone any favours by not telling anyone.